The 76th edition of the Grand Prix Automobile de Monaco will take place from Thursday 24 to Sunday 27 May 2018. 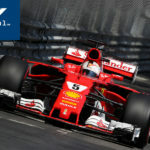 982rd round of the history , the Monegasque race will be host the sixth round of the FIA Formula One World Championship 2018. Raised as a motor racing myth by the drivers because of its uniqueness in the world and the selectivity of its circuit, the Grand Prix Automobile de Monaco has created its legend through many exploits remained in the annals of Formula 1. The iconic Ayrton Senna, a true artist between the guardrail and still the most successful driver in the Principality with six wins, Juan-Manuel Fangio (5 wins), Michael Schumacher (5 wins) and Alain Prost (4 wins) wrote some of the most glorious pages of them famous careers in the streets of Monaco . 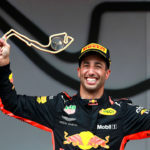 Beaten last year by the two Ferrari, Lewis Hamilton will also try to win again in the Principality’s streets, like in 2008 and 2016.